LOS ANGELES - June 7, 2018 - PRLog -- In spring 2017, President Trump met with the Congressional Black Caucus. The issue was welfare reform, and how his version of it would have a detrimental impact on welfare recipients. Many of whom, it was noted, weren't Black. A non-ruffled Trump quickly retorted, "Really? Then what are they?" 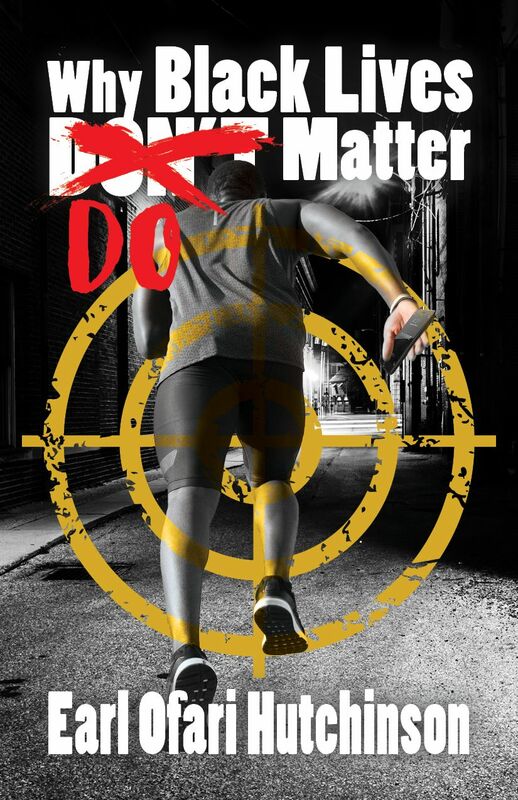 In his new book, Why Black Lives Do Matter, noted political analyst Earl Ofari Hutchinson, takes a laser look at the history of, and continuing propagation, of gross racial typecasting and stereotypes, that have made African-Americans the perennial target of racial and police violence. The book is sweeping in scope, precise in focus, and even hits harder on the same devastating racial stereotypes of Blacks that he examined almost a quarter century earlier in his important work, The Assassination of the Black Male Image. Hutchinson, for instance, notes in a chapter on the refusal to call white's who shoot, bomb, and maim "domestic terrorists," the deadly consequence: "The refusal to call a Dylan Roof, or Nicholas Cruz, and others like them, a "terrorist" is far from an arcane quibble over terms and definitions, or even over the race and gender of the shooters. It strikes to the heart of how many Americans have been reflexively conditioned to see thuggery and terrorism. They see it through the narrow, warped prism of who commits the acts, rather than the horrific acts and their consequences." Hutchinson probes deeply how racial typecasting continues to fuel the widespread public belief that Blacks are victimizers and not victims. This has stifled public debate and enabled political inaction, if not outright resistance, to meaningful solutions to the problem of racial victimization in American society. He observes that this too has deadly consequences: "That could easily translate into more deadly encounters with officers driven by the fear that any and every young Black in any and every street or vehicle stop poses a danger to officers. This is when the stock racial stereotypes of young Blacks as violent threats could kick in and engender a potentially bad outcome." The devaluation of Black lives has truly been a chronic, painful, and all-consuming American dilemma that screams for an end. In his small way Hutchinson, aims that, Why Black Lives Do Matter attempts to further that aim.